Panelization is a hybrid building method which marries the efficiency of prefab with the design flexibility and quality of a stick-built home. Our systems-based prefab construction supports a high level of design and craftsmanship while controlling costs and eliminating surprises. Precision: Using advanced MiTek technology, each panel is cut to measurements within 1/16th of an inch. Shipping: Unlike a traditional modular home, our panels are shipped flat to your building site resulting in significantly reduced shipping costs. Accessibility: Because are panels are shipped flat, we are able to access sites that are traditionally difficult to reach (i.e. steeply sloped, rough terrain, narrow driveways). Sustainability: Our modern fabrication system reduces waste by up to 50% compared to traditional building methods. All Stillwater prefab homes are highly insulated to reduce energy costs and environmental impacts. Time Savings: Using our highly refined three phase process, we are able to have your home move-in ready in up to a third less time than other building methods. 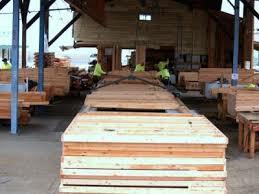 Quality: Panels are made of the highest quality Douglas Fir. They are constructed in a climate-controlled facility and are built to meet (and typically exceed) your local building code requirements. Do you have questions regarding panelization? Please contact us at info@stillwaterdwellings.com. The walls of this home in California were put up in less than one week! 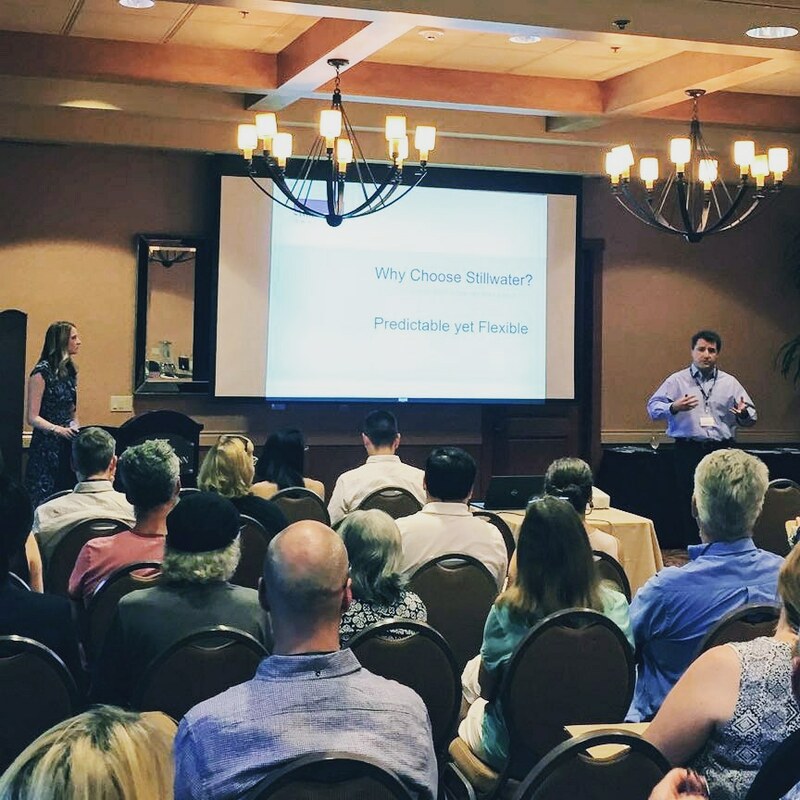 We had an amazing turnout for both our seminar and open house in Santa Rosa last month. Thank you to everyone who attended! Keep an eye out for future event announcements. Topography: while our homes can built on sloped properties, depending on the degree of the slope, there can be significant site prep, foundation, and retaining wall costs. Setback requirements: how far from the front, side and rear lots the home can be built. Lot coverage restrictions: how much of the site area can be covered with the structure and with impervious (e.g. asphalt drive, tennis courts) surfaces. House size limitations: some local zoning restrictions limit the size of houses or the height of houses. Utility restrictions: if your site will require a septic system or a well, several regulations may apply. Wetlands designations: some sites contain wetlands or are near enough to wetlands to affect the site. Coastal Regulations: building near the ocean can involve special permits. We provide initial site feasibility feedback free of charge to help you navigate these types of site considerations. Every Stillwater home comes with personalized support to help you navigate the unique requirements for your building site. Our professional architects and project managers have years of experience working with site conditions, municipalities, building departments. Contact us to learn more about the unique services we provide. Each Stillwater home is carefully sited to take advantage of your local environment. 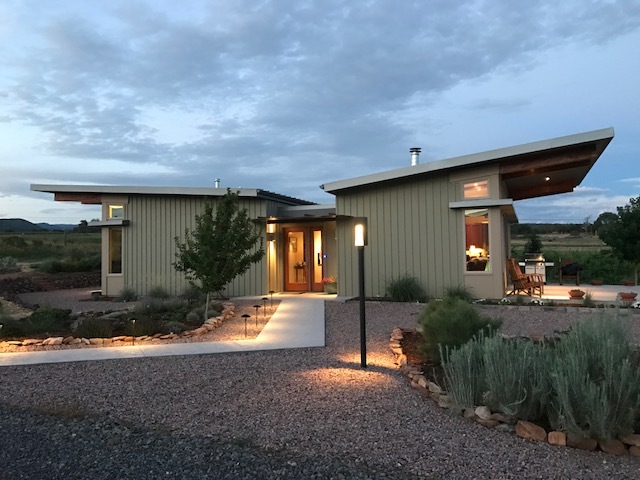 We hope you had a wonderful Earth Day and wanted to take this opportunity to demonstrate how Stillwater homes are designed with passive heating/cooling in mind. How a house is oriented to the sun has a dramatic impact on heating and cooling costs — the largest energy load in most homes. In climates where home heating is a primary concern, maximize your site’s southern exposure to take advantage of passive solar gain. With today’s high-performance glass, south facing windows provide a net heat gain vs. loss through the glass area. If you are building in a more temperate climate, you should take into account the heating effects of the sun on west-facing rooms. Not only will well-placed windows reduce your heating bills (by as much as 50%), but they will provide the benefit of making your home bright and welcoming. Add the practical consideration of not having to rely on artificial lighting during any daylight hours—and the subsequent reduction in energy costs. The power of solar gain can be maximized with heat-absorbing masonry (fireplaces or tile floors) in rooms with southerly exposures. Southerly exposures can be shaded from the summer sun with floor or roof overhangs, exterior pergolas planted with greenery, or with well-planned landscaping. Click here for more ideas to take advantage of the sun in your home design! Hooray for New Team Members! We are excited to welcome our two newest team members–Ryan in the Design Studio and Greg in Sales. As our team grows, we are continuing our search for talented architects. Visit our Careers page for current opportunities. Since the devastating wildfires throughout California, Stillwater has developed a series of pre-engineered floor plans to assist wildfire victims who want to rebuild quickly. Although these plans were originally designed for this purpose, Stillwater clients nationwide can take advantage of the efficiencies that these plans provide. By choosing one of these plans, our clients can expect to shave approximately six months off the traditional lengthy homebuilding process–four months of design time, and two months of engineering. Along with the time savings, all standard architectural and engineering fees for these plans will be reduced as well. These projects include complete structural engineering and construction sets. Once the foundation design is adjusted for individual site requirements, we can submit for a building permit. For site adaptation, the plans can be mirrored without any delays. Contact us to discuss your upcoming project! 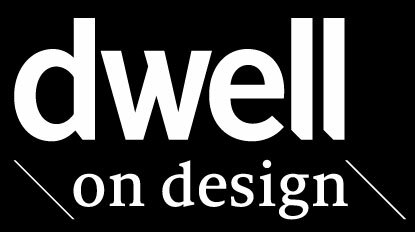 Visit us at Dwell on Design 2018! We are excited to be part of the largest design showcase on the West Coast, Dwell on Design. If you plan to be in the Los Angeles area April 4-7, please come visit us at Booth #1223 of the Los Angeles Convention Center. Happy New Year from Stillwater Dwellings! The stunning view from a Stillwater home in progress near Santa Barbara. *Broke ground on nine new homes, ranging from a 5,300 square foot custom build in The Highlands near Seattle to a 750 square foot sd127 in Portola Valley, CA. For more information about these and other Stillwater homes in process, visit our Project Map. *Hired three amazing new team members–Jennifer in Production, and Michal and Andrew in the Design Studio. Meet the whole Stillwater staff here. *Expanded our relationship with Luxe Magazine, whose audience aligns well with our design-savvy clientele. Click here to see our new full-page ad. *Designed an Urban Infill study to address the need for more dense housing. These floor plans are well-suited for smaller lots and we’ll be sharing a first look at them soon. careers page to learn about our current open positions. The structural engineering principles behind Stillwater homes allows our clients to enjoy expansive walls of glass without the need for costly steel components. In this third installment of our four-part series on building your home with Stillwater Dwellings, we will touch on the comprehensive engineering and permitting services provided by Stillwater. From analyzing topography to presenting to architectural review boards, we’re there for you. All Stillwater homes are pre-engineered to satisfy the most stringent structural requirements. On the West Coast, for example, stricter seismic and energy building codes have been enacted, and Stillwater homes exceed all of these requirements. Stillwater also handles much of the home’s engineering in-house, including structural and foundation design as well as working closely with civil and geotechnical engineers. Whether your site is in a flood plain or on a steep slope, we can help. Permitting can be complex, and varies widely by jurisdiction. Stillwater’s cadre of in-house architects and design professionals are well-versed in many of these unique requirements. Unlike typical architectural or design/build firms, Stillwater manages the entire permitting process for you and leverages the valuable relationships we’ve built with a variety of professionals, including expeditors and reviewers. We also work closely with consultants that may be required to secure a planning or building permit, including surveyors, septic designers, and arborists. What engineering or permitting challenges have you faced when building a new home? We want to hear from you! We recently captured images of our two newest homes in Washington State. Click to browse. Can that butterfly roof really handle snow accumulation? Yes! Our designs have been modified to comply with high ground snow level requirements. We’ve built homes in heavy snow zones, including Colorado and Eastern Washington. Tell us about your property, and we’re happy to provide feasibility feedback for a Stillwater home. In this second installment of our four-part series outlining the Stillwater Experience, we will describe a typical design meeting between someone who is building a Stillwater home and a Stillwater Project Expert. An open ear to understand your goals, priorities, and vision for your new home.Topics covered will include your lifestyle (do you like to entertain/cook/work from home? ), use of the home (primary residence/vacation home/aging in place), and family members living in the home (children/parents/pets). Site feasibility feedback, including any potential restrictions (setbacks, home size limits, CC&R’s, etc. ), views you’d like to take advantage of, and how topography and sun path could play a role in the overall design. An overview of costs associated with your specific project, as well as a design/build timeframe. First and foremost, bring your enthusiasm for building a new home! It can be a daunting process, and we want to make it as enjoyable as possible. Also bring anyone else that will be on this journey with you, whether a family member or friend (even your pup!). Your wish list is very important–think carefully about square footage, the number of beds/baths, customized finishes, and modifications to our floor plans. Any information you have regarding your building site will help tailor the conversation. Bringing the site address, survey, and utilities information will be helpful early in the process. Finally, knowing your budget and when you would like to move into your home will help make the meeting as productive as possible. You should walk away from this meeting with a clear understanding of the design process and a solid vision starting to take shape. Missed our webinar on September 21st? Download a recording here! Listen to our most recent webinar anytime, anywhere! This presentation is a great first step in understanding how exactly a Stillwater home comes together and where we fit within the housing industry as a whole. Does your potential building site have setbacks or CC&R’s? What about utility access? Read more about potential site restrictions below. Not local or able to visit us in Seattle? We would be happy to set up a virtual meeting with you! So you want to build a prefab. . . Welcome to the first in our four part series where we will help guide you through the complete journey of building a prefab home. With a variety of prefab options available, this handy flow chart will help you determine if Stillwater Dwellings is the right fit for your project. Join us next month as we dive into designing your dream home! View from Stillwater Dwellings home on Whidbey Island, Washington. We are often asked for tips on selecting a builder. The duties of a general contractor are many and varied. Subsequently, not everyone in the industry has the mix of technical skills and business expertise to assure a successful building experience. A fair amount of due diligence is necessary to find the right builder for your project. But where do you start? We’ve assembled a short list of the key elements in a successful builder search. Ask for Referrals and Recommendations – Ask friends, relatives and other trusted sources for names of builders with whom they have personal experience. Visit Homes – Visit homes completed within the last two years. Examine the quality of the build, finishing work and fixtures. If possible, see a home under construction to assess how they manage the building process–including worksite neatness and safety. Talk with Past Customers – This is one of the most important steps. Ask about the quality of communications, the management of the budget, the quality of materials and their ability to manage problems and correct mistakes. Check Builder’s Credentials – Is he/she licensed and bonded in the state? Are there any liens on past projects? Are they members of the local builders association? Be Prepared When Asking for Bids – When requesting a quote, supply a set of preliminary house plans and as much material specification detail as you can. Stillwater Dwellings supplies these materials as part of Phase One of its Three Phase Process. Interview the Builder – Assess the builder’s qualifications and experience. Have they built many contemporary custom homes? Can they manage the project? What is their communication style and philosophy? Do you think you can work with them successfully? Stillwater Dwellings understands building a custom home is often a once in a lifetime project. We know you have questions and our professional staff is waiting to help answer them. This term wasn’t around ten years ago, but now it seems to be everywhere. It simply means designing a home to meet your needs both today and tomorrow. It generally refers to making doorways and halls wider and minimizing steps and stairs. If added in the design stage, “aging in place” considerations are simple and inexpensive. There has been considerable study done on the subject of selecting a builder. Below are links to several pieces you might find helpful. Stillwater LEED accredited architects utilize state-of-the-art design systems. 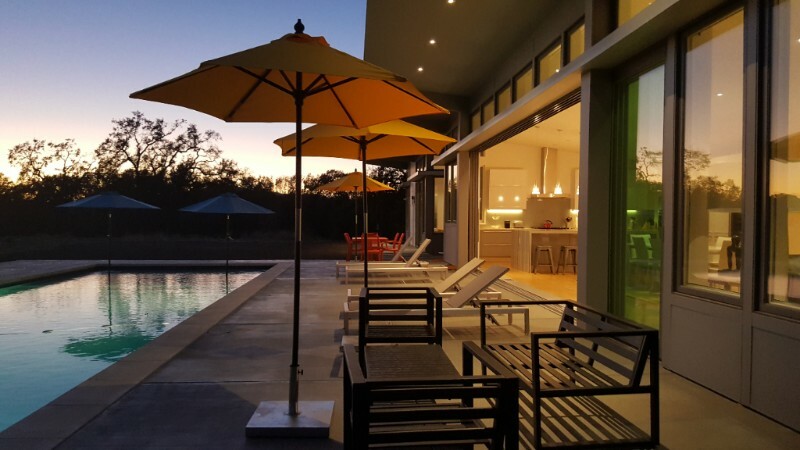 Stillwater Dwellings has built its reputation on cutting edge contemporary design tailored to fit your site and individual style. The flexibility of sophisticated tools, like Building Information Modeling (BMI) and Parametric Engineering Technology, have helped make it possible. This state-of-the-art software uses three-dimensional modeling to produce the most efficient design and fabrication possible while simultaneously managing the client review process. Stillwater’s prefabricated components are manufactured in a climate controlled environment to meet demanding specifications and quality requirements. The controlled environment allows more efficient utilization of materials while greatly reducing waste. Stillwater homes are sealed by an exterior “envelope,” comprised of framing, spray foam insulation, plywood, building wrap, rain screen and siding. The multi-layered wall creates a tight energy efficient shell. Exterior walls meet a stringent R-28 energy efficiency rating and roofs are R-50! The panelized, prefabricated construction system allows for quicker on-site assembly, better construction accuracy and fewer costly subcontractors. The goal of Stillwater is to provide you the best in contemporary design, using energy efficient, sustainable techniques and materials. What are your building plans? We would love to start a conversation. How Much Does a Prefab Home Cost? 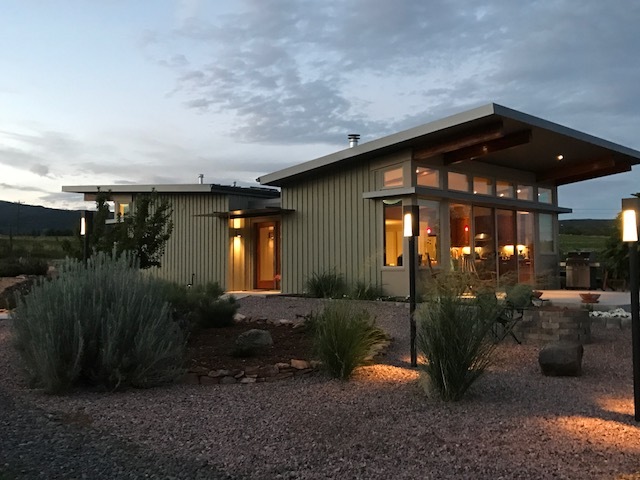 There are a variety of reasons to choose a pre-fab home–energy efficiency, quality control, or a quicker build–to name a few. For many, though, there is great benefit in lower costs compared to a traditional stick built home. So exactly how much does a modern pre-fab home cost? It’s difficult to compare since . . . (read more). Walls of glass and tall sliding doors blur the separation between inside and outside worlds. Respecting its mid-century modern heritage, Stillwater Dwellings architects focus on blending indoor and outdoor living spaces. The high ceilings and large expanses of glass, made possible with the butterfly roof design, along with large overhangs, allow for a dramatic pairing of home and environment. A smooth transition between conditioned indoor space and natural outdoor areas can be enhanced with attention to materials and careful positioning of the home on its site. Stillwater’s high ceilings, combined with wide openings between supports, allow for the use of tall sliding or accordion style glass doors for unobstructed outdoor access. Extending indoor floor coverings to a patio area and including an outdoor kitchen are easy additions to most Stillwater plans. Since every Stillwater Dwellings home is tailored to meet the specific needs of its owners, finding the right mix of indoor and outdoor space is a basic element of the design process. We would love to hear your custom home dreams. Let’s start a conversation. In this live, complimentary webinar, we’ll cover the design flexibility of Stillwater’s “spine and wing” building system and the process architects follow to tailor plans to meet each client’s taste and style. We’ll also detail Stillwater’s exclusive three step planning and production process, from defining site requirements to managing the budget. No special software is required. More Information. Stillwater plan sd 153, highlighting contemporary butterfly roof and spine and wings design. The contemporary Stillwater Dwellings design has its roots in the post World War II architectural movement now known as “mid-century modern.” Mid-century modern architecture, defined by the generous use of glass and the dramatic butterfly roof, continues to influence contemporary design to this day. Originally conceived in 1930, by Swiss-French architect Le Corbusier, butterfly roofs have stood the test of time. Their beauty and simplicity matched with Stillwater’s “spine and wings” generates the best in contemporary home design and fabrication. We would love to hear about your custom home plans. Stillwater has introduced a new interactive project map highlighting the growing footprint of Stillwater Dwellings along with location, model number, project status and photos. Want to see more examples of Stillwater homes? Our photo gallery currently features six home and more than seventy photograph. Stillwater Dwellings homes are designed to be the ultimate in flexibility. We view the twenty plus plans in our planning guide as a starting place. You are encouraged to start with a plan that offers the relevant size, volume and space you need and we’ll modify it to fit your vision. The Stillwater “spine and wings” system allows for flexibility in both design and configuration. Stillwater architects and project managers work personally with you to understand your needs, your building site and your budget. This collaborative approach, along with frequent communications, helps ensure a successful project. Stillwater customer David Knoelke, explains the process. You may have a building site that needs the living areas on the second floor to take advantage of a view, or a sloping lot that lends itself to a daylight basement configuration. Each location is different and each Stillwater home is tailored to fit the site. Stillwater Dwellings has won “Best of Design” on Houzz®, the leading platform for home remodeling and design. Stillwater was honored to be chosen by the more than 35 million monthly unique users that comprise the Houzz community from among more than one million active home building, remodeling and design industry professionals. Sleek enclosed soffits and metal entry canopies are standard in all Stillwater Dwellings homes. Note the detached garage/workshop on the left. The process of designing and building a custom contemporary home can seem overwhelming. There are numerous styles, materials and building systems to choose from–and no shortage of experts ready to help. The founders of Stillwater Dwellings understood the challenges and developed a method to guide clients through the custom design and building process. From selecting the ideal floor plan to the smallest of details, like specifying door pull hardware, no step is too big or detail too small to be a part of the Stillwater Three Step Process. You work closely with a team of Stillwater architects and project managers to select and develop a plan suited for your site, budget and wish list. Our architects develop complete plans along with a comprehensive specification document detailing materials, options and finishes. Stillwater then produces a fixed price for the components provided by Stillwater Dwellings and a cost estimate for elements of the project provided by others. Based on the final fixed pricing, the final design, engineering and permitting begins. Project managers work with your local building department and agencies to apply for customary permits. The Three Step Process was engineered to guide you through the design and building process using proven practices and clear communication. We would love to hear your custom home dreams. Let’s start a conversation. Stillwater Dwellings developed the “Stillwater Advantage” webinar to take the mystery out of designing and building a custom home. Questions will be gathered during the event and answered following the presentations. You’ll receive a link to the live presentation. No special software is required. For additional information please call 800-691-7302. This Stillwater home was carefully sited on the property to allow a blend of indoor and outdoor living. There are a number of factors to consider when purchasing a building site. Stillwater Dwellings representatives are experts in assessing your property’s feasibility for a pre-fab home. We evaluate your site based on a number of factors, including topography, zoning restrictions, design review board limitations, and utility access. The Stillwater team’s depth of experience helps ensure the home you select is a good fit for both your building site and your lifestyle. For many clients, the relationship with the Stillwater team begins during the property search. Such was the case with Jay and Dina, who had several properties in Washington State on their radar when they reached out to us. They were guided by Stillwater Co-CEO, Kaveh Khatibloo. Personalized guidance, from helping clients conceptualize their dreams, to move-in day, is part of what makes Stillwater unique. Wherever you are in the process, we would love to start the conversation. How Large a Home Do You Need? Have questions about custom building or the Stillwater process? Give us a call. No question is too small. Click to visit the Gadd residence, outside of Portland, Oregon, featured in the December issue of Dwell Magazine. The Stillwater process is built around exceptional contemporary design, unmatched personal service and efficient, effective processes. Our mission is to help clients realize their dream of spending time with family and friends in a home that’s truly their own. Having a home tailored to your personal needs and sensibilities is the primary reason most people decide to build a custom home. Stillwater building systems are flexible and can be adapted for homes of any size. Advanced design systems and uniform construction details add efficiency and economy to help make custom contemporary homes accessible to a wide range of tastes and budgets. At Stillwater, we often start with a site visit. A Stillwater Dwellings professional visits your site to evaluate the characteristics of your lot and help determine the ideal orientation and location for your home. Next, you work with Stillwater project managers and architects to personalize your selected plan or develop an entirely custom plan based on the Stillwater “spine and wings” building system. Flexibility, and the comprehensive nature of our services, help set Stillwater apart. A special thank you to all our Stillwater friends for making 2016 our best year ever. We had the privilege of helping many wonderful people turn their contemporary home dreams into reality and developed lasting relationships in the process. This year-end greeting would not be complete without recognizing the tremendous Stillwater team. 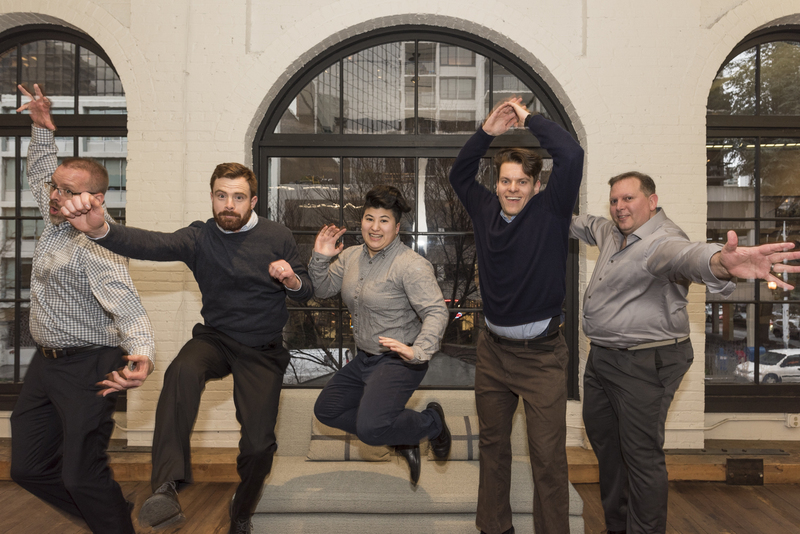 The many talents of our architects, project managers and office staff, and their dedication to serving our clients, is the reason we continue to grow. All of us at Stillwater Dwellings wish you the best in 2017. For more planning tips, and printed versions of Stillwater plans, order the Plans Gallery and Planning Guide. We are excited to announce a beautiful Stillwater home is featured in the December 2016 issue of Dwell Magazine. The piece highlights Peter and Rebecca Gadd’s home (plan sd221) in Boring, Oregon. When Rebecca and Peter decided to move their web-based business to Oregon and build their dream home, they faced a logistical challenge. How could they oversee a custom home project in Oregon while living in Minnesota? They would have to manage the process remotely, and only make the move to Oregon after the home was already under construction. Their solution—build a prefab home. Stillwater architects worked on the details of the building process with the Gadds using two-way online presentation software that allowed them to show and discuss home plans, schedules and budgets in real time, from across the country. Stillwater representatives also visited the building location, situated the home on the site, and helped the Gadds select a qualified builder. See more photos. The final design features a double height living area open to the kitchen, a loft office, and a unique corner window system that adds a dramatic sense of light and space. The two story home totals 2035 square feet of living area with 3 bedrooms, 2-1/2 baths and a 2 car attached garage. See the floor plan. Stillwater Dwellings brings contemporary residential design to a new level of sophistication and practical livability. Please give us a call to start the conversation. Most Stillwater owners start with an existing plan and personalize it to fit their lifestyle, building site and tastes. 1. How much living space do you need? If your family is growing, include enough floor space to accommodate future family members. A den or office with an attached bath can be converted into a bedroom later. If you work from home include space for a home office. It should be away from busy rooms such as the family room or kitchen. A kitchen/great room combination can allow space to accommodate a large group. If you don’t entertain much, a more intimate space might be right for you. 4. Open space or privacy? If you like having the family together consider a great-room concept. Want quiet? A smaller family room and separate media/game room, and formal den/office provide more solitude. 5. How does your building site influence your home design? If you have a large lot, a single floor plan might work well. If you want a large house on a smaller lot then you’ll need multiple floors. From Midcentury Modern to Twenty-first Century Contemporary. Art is influenced by the times in which it’s created and what came before. Whether architecture, visual, music or performing arts, everything builds from the realities of today and impressions from the past. Perhaps nowhere is this more evident than in the evolution of architecture from post-World War II midcentury modern homes, to today’s contemporary residential design. After the war there was tremendous pent-up demand for housing and a cadre of young architects ready to take advantage of the opportunity—particularly in Southern California. What became known as midcentury modern architecture was heavily influenced by the Bauhaus movement of the 1920’s and the designs of Frank Lloyd Wright, Mies Van Der Rohe and Le Cobusier. Defined by open floor plans, clean lines, generous use of glass, a blending of inside and outside living spaces, and use of materials new to home design such as steel and plywood. The midcentury modern esthetic set the tone for today’s contemporary homes. Stillwater Dwellings embraces this heritage and brings contemporary residential design to a new level of sophistication and practical livability. Read this article and other helpful planning tips. We’re here to help. Call 800-691-7302 with any questions. Stillwater has more than twenty floor plans and three finish packages to start your home design. Explore the possibilities. Building a home requires making choices. It’s choices that shape your project, incorporate your tastes and ultimately make the project a success. Choices range from selecting the right building site and home style to choosing flooring, cabinet style and even house numbers. Building a Stillwater home allows you to define your project down to the smallest detail. Stillwater Dwellings architects and project managers guide you through the planning and building process with one thing in mind—you have choice. They help you select the floor plan that fits your needs and budget and then custom tailor it to fit just right. Or they can design a totally custom plan. Along the way they suggest appropriate finishing materials, fixtures and hardware to enhance the contemporary sensibilities of your home. Making decisions and choices can seem overwhelming when designing and building a home. At Stillwater our professional staff guides you through the questions and the options. We pay attention to the small stuff, even specifying the style of house numbers. Stillwater Dwellings has developed the “Stillwater Advantage” webinar to help take the mystery out of designing and building a custom home. In this live, complimentary webinar, founder Matthew Stannard introduces the design flexibility of Stillwater’s “spine and wing” building system and the process architects follow to tailor plans to meet each clients’s taste and style. Chief Sales Officer, Kaveh Khatibloo explains Stillwater’s comprehensive three phase planning and production process from defining site requirements to managing the budget. RSVP to the October 13 Webinar Today. You’ll receive a link to the live presentation. No special software is required. Sliding Glass Door Upgrade Offer Extended! We’re pleased to announce that Stillwater’s complimentary window wall upgrade promotion has been extended. All new Stillwater Dwellings orders received by September 15, 2016 will qualify for a no-cost upgrade to a Western Window Systems 20′ or 24′ wide multi-slide door. This state of the art door system features unobstructed glass panels that stack or slide into pockets to provide an expansive blend of indoor and outdoor living. “We’re very pleased to partner with Western Window Systems, a leader in contemporary sliding wall design, to make this special upgrade offer. Their singular attention to detail and quality make them a good fit for Stillwater Dwellings and our very discerning clients,” said John Morgan, Stillwater COO. To take advantage of this offer, and save up to $10,000, give us a call today. A Phase One agreement must be entered into by September 15, 2016 to qualify. More information on the Sliding Glass Door upgrade offer. As an architect, I could specify a wide variety of contemporary building materials. But only one is totally sustainable, never rusts, is flexible enough to shift as structures settle, does not expand and contract with the seasons, is energy efficient, is both a structural and finishing material, is easy to work with and repair, and is totally recyclable. Of course I’m talking about wood. It’s almost a magical material. Trees take energy from the sun, and carbon dioxide from the air and converts them into a totally natural, renewable and recyclable product that continues to evolve.